A powerful compact and convenient one of a kind charge-everything device that fits inside your pocket or glove compartment of your vehicle. Never worry about your smart phone or tablet running low on battery ever again. If your car won’t start, you don’t have to call a tow truck service for assistance. If you enjoy the outdoors you don’t need to bring an additional flashlight. The PowerAll is the only thing you need to solve all of these problems. It’s the swiss army knives of portable power bank devices. 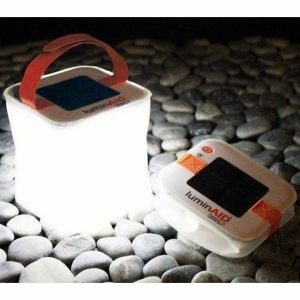 It can power and charge all of your devices, start your car, and even save your life in the outdoors! POWER BANK Portable Battery Charger On The Go! A great travel companion that you can take with you on the go to charge all of your portable electronic devices, such as smart phones, tablets, cameras, camcorders, GPS unit, MP3 players, wireless headphones, and portable gaming systems. It’s equipped with two 5V / 2.1A USB ports that can charge two separate devices fast and simultaneously. Once devices are fully charged it will go into sleep mode to preserve the battery. 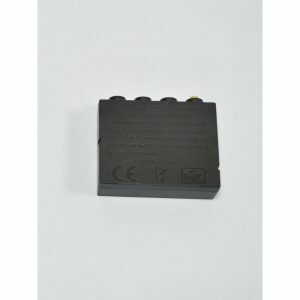 CAR JUMP STARTER Compact and Convenient To Keep In The Car! If your car won’t start don’t call a tow truck service or wait on the side of the road for help. 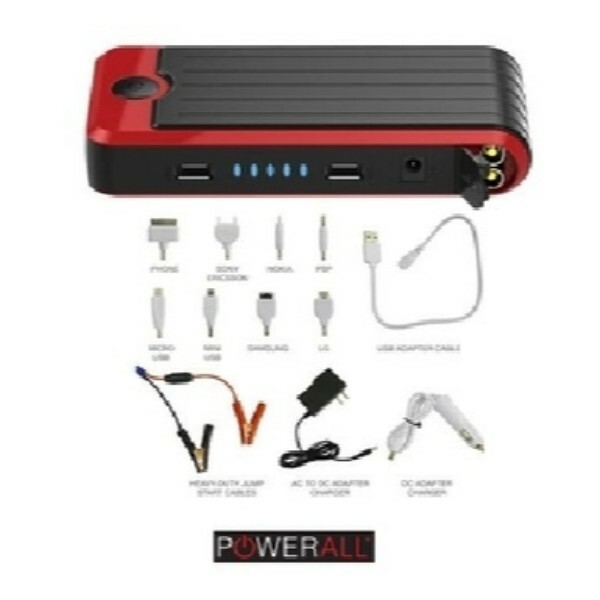 Use the PowerAll with the jumper cables to start your car battery in a matter of seconds. Keep it in the glove box at all times and you can use it multiple times (Up to 20x on a full charge). It’s so easy and convenient to use that every driver should keep one at all times. FLASHLIGHT Ultra-Bright LED Flashlight That’s Convenient For All Purposes! 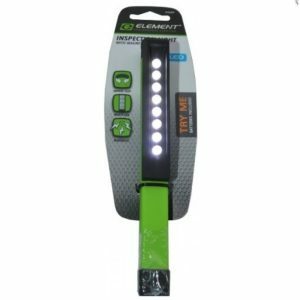 Whether you’re working under the hood, or outdoors camping you’ll be glad to have this flashlight handy. It has multiple illumination modes: Constant On and SOS Signal Light. If you’re outdoors camping and find yourself in an emergency situation you can use the SOS signal light flash to attract attention. 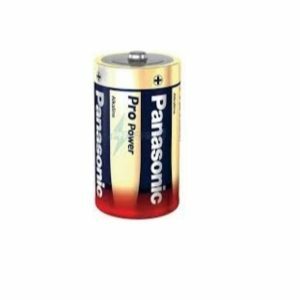 Once activated the SOS signal flash will stay on continuously for up to 120 hours on a full charge. It can make the difference in saving your life. An advanced device with safety and protection in mind. It has over current protection, short circuit protection, overload protection, over voltage protection, and over charge protection all built-in to ensure the safety of all your valuable devices and vehicles.